Losing weight on your own isn’t easy. This program was designed specifically to help you lose weight, and keep it off! In a class setting, participants will gain the insight, tools and support needed to drop serious weight. AM & PM appointments are available. Address weight management, heart health, diabetes and/or other conditions. 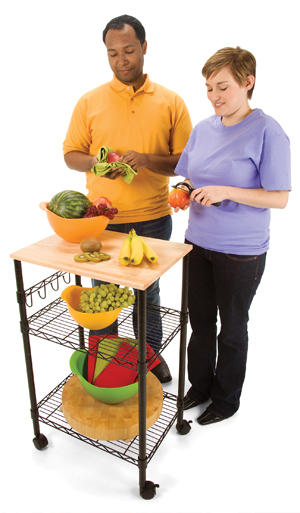 Develop a plan for success with one on one counseling with a registered dietician. Appointments are available for adults and youth. 86 Million people have prediabetes and only 9 million are aware of it. We will work together to accomplish two goals: weight loss and increased activity levels. You'll lose 7% of your weight through healthy eating physical activity. At the end of this program we provide a post-core program to help you continue to make the healthy choices that will continue to reduce your risk for type 2 diabetes. A Certificate Lifestyle Coach and you will take it one step at a time to reach success. When therapy ends continue your success with us. Together we will maintain the strength and mobility that you and your therapist worked so hard to achieve. Once you have completed your physical and occupational therapy let us help you maintain your new level of function. Our caring and qualified staff is committed to work with you to develop a wellness program that will best meet your current and future needs. Our class will help you develop muscles that are vital for balance to protect against falls. Reduce the FEAR of falling through this class which is geared to help participants increase mobility and flexibility, strengthen muscles and improve posture. Exercise provides cancer patients many benefits including increased: energy, circulation, self- esteem, strength, bone mass, energy and vitality. Participants will complete a fitness orientation with one of our certificated staff members and receive a wellness program will be designed to fit your needs and help you achieve a faster recovery.